But this time, it is about a dog, not a frog. 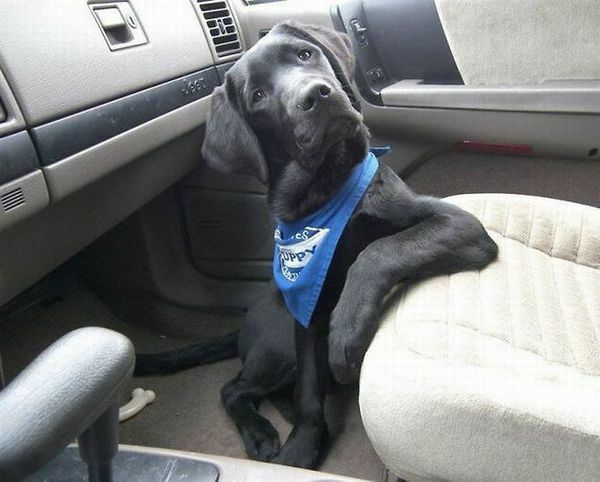 It is a black dog with a blue scarf around his neck, sitting in a car with his arm on the seat looking inquisitively towards something. He looks very cute! About a frog, but not about a dog.